Murder by Gaslight: The North Carolina Tragedy. The Reverend George Washington Carawan, prominent and powerful North Carolina Baptist minister was a man of violent temper and strong animal passions, more apt to inspire terror than piety in those around him. The sorrows he begat in his relationships would follow him to the courtroom for the last savage act in Carawan’s tragedy. George Washington Carawan was born in Hyde County, North Carolina, in 1800. His father died when he was only four years old, and Carawan was raised by his mother, a strict member of the Old School Baptist church, known for her strong will and violent temper. Though he was well schooled in scripture, he was more influenced by his mother’s harsh methods, becoming at an early age, profane and callous, using his knowledge of the Bible to mock religion. In 1822, he married Elizabeth Carrow and took up farming. In 1827, he reversed his opinions on religion and declared himself converted. He was baptized int the South Mattamuskeet Baptist Church and soon after felt called to the ministry and founded two churches in Carteret County. His brother was also a preacher and on his death, Carawan took over the congregation in Goose Creek. His influence continued to grow and for twenty years he had charge of all the Old School Baptist churches in four counties and had baptized more than five hundred persons. He lived on a large farm Mattamuskeet Lake, and owned several slaves. Though a preacher of the gospel, George Carawan remained a man of violent temper and strong passions. In 1839, his wife suddenly died from symptoms resembling arsenic poisoning. Three weeks after her death, Carawan married Mary Bell, who had been living with the family. Carawan regularly beat his wife, sometimes knocking her down with clenched fist, and continued having mistresses on the side. 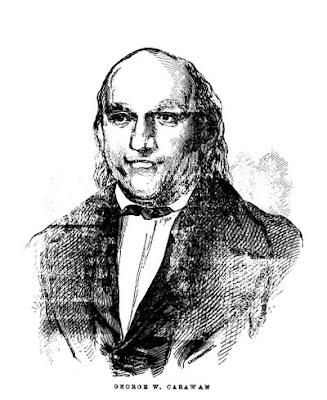 A young woman named Polly Richards charged him with the paternity of her child, leading to his dismissal from the church. After repentance and promises, he was reinstated. The child stayed with his family until mysteriously dying at age three. In 1852, a young teacher named Clement H. Lassiter was boarding with the Carawans. A quiet and reserved man, Lassiter was well-liked by his students and their parents. One day he found Carawan beating his wife over some trivial matter and tried to intercede. Carawan turned his wrath on Lassiter, and Lassiter pulled out his knife to defend himself. The fight went no further, but Carawan sent Lassiter away. Carawan accused Lassiter of being intimate with his wife and went so far as to have his wife testify before the magistrates that Lassiter had raped her. This was so obvious a fabrication that the magistrates refused to act, not wanting Mrs. Carawan to perjure herself. Lassiter then sued Carawan for slander, seeking $2,000 in damages. 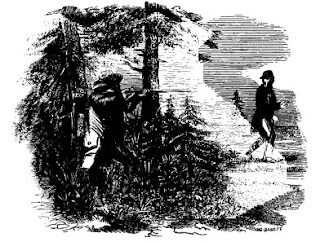 Carawan was enraged; he told several of his neighbors that Lassiter ought to be shot. 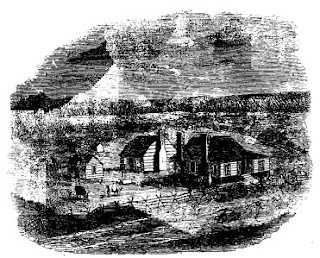 After leaving Carwan’s house, Lassiter boarded at the home of Dorset Mason. The night of Sunday, November 14, he told Mason that he had to go to the school in Mattamuskeet Lake but was fearful of walking up the turnpike, past Carawan’s. The next morning he took his carpet bag and walked up the road, making several stops to converse with neighbors, then continued along the road toward the lake. Lassiter never reached his destination and was never again seen alive. 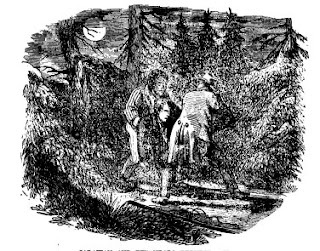 News of the discovery traveled fast, and when Carawan heard it he said to his nephew, Carawan Sawyer, and his favorite slave, Seth, “Boys, I must go away, or I shall be hung.” Later Carwan told Sawyer he would transfer ownersip of Seth to him if he would say that Carwan was home all day on Monday. He then packed his bags and left North Carolina. Carawan traveled by train and steamboat to Chatanooga, Tennessee and lived there for several months under the name John Forbes. 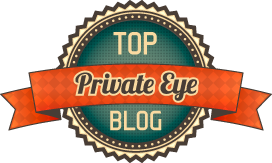 He had given power of attorney to a friend back in Hyde, and instructed him to sell his property. The friend, however, became convinced of Carawan’s guilt and refused to have anything further to do with him. Reluctantly Carawan returned to North Carolina to sell the property himself. He planned to hide out on Goose Creek Island, where he had friends who still regarded Carawan as their spiritual leader, and secretly arrange the sale of his property. He left the island in the dead of night, and went to his old home to see his wife. Carawan’s slave, Seth, spotted him as he entered the house, and immediately informed one of the neighbors. A crowd soon assembled, surraounding the house, and Carawan was arrested. 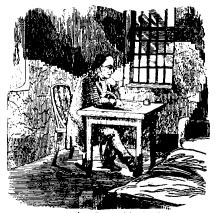 While in jail awaiting trial, George Carawan sent two letters to supporters, instructing his friends to persuade Carwan Sawyer to leave town – “to put aside that evidence by hook or by crook,” implying that Sawyer should be killed if he did not leave town. The letters were intercepted by the authorities. The letters were used in court against Carawan, along with a considerable amount of circumstancial evidence. Many witnesses had heard Carwan say that Lassiter should be killed. Carawan had been seen going into the woods with a shotgun that Monday. Three different sizes of buckshot were found in Lassiter’s body, the same as was currently loaded in Carawan’s gun. But most damaging was the testimony of Carawan Sawyer, that his uncle had tried to bribe him to lie about his whereabouts, he also testified that he had seen his uncle with a gun that day. The defense challenged all of the testimony, even the assumption that the murder had been committed that Monday. They challenged the admissibility of Sawyer’s testimony because it was different than his testimony before the coroner’s jury. The judge, at first, was inclined to agree with the defense. In his instructions to the jury, he told them to disregard the contradictory testimony of Carawan Sawyer. But after the jury had been out for half an hour, the judge had a change of heart. He called them back and instructed them to use their own judgment in weighing Sawyer’s testimony. George Carawan had been elated at the judge’s first instruction, believing he would be acquitted, but after the judge’s second instruction he was convinced that he would be convicted. That night, as the jury deliberated, Carawan requested that his family and friends visit him in jail so he could say his goodbyes. The next day Carawan was brought to court to hear the jury’s verdict. 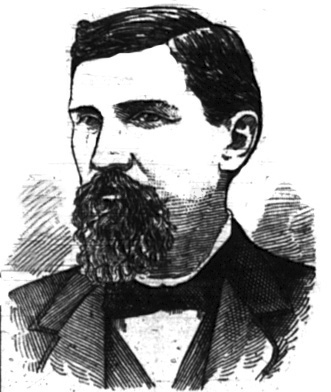 They found him guilty; the defense requested that the jury be polled, and each man in turn, when asked, responded “Guilty.” As the judge discharged the jury, George Carawan reached into his shirt and pulled out a small, single-shot pistol, and fired at prosecuting attorney E. J. Warren, hitting him just above the heart. Amid the ensuing confusion, Carawan pulled out another pistol and, in spite of deputy sherrif Hinton’s attempt to stop him, fired into his own temple. Bleeding profusely, Carawan fell to the floor and died soon after. In North Carolina, a slave was not permitted to testify in court against his master, but after the trial,Carawan’s slave, Seth, told what he knew of the murder. Just before dark, on that Monday night, Carawan came to him and said that he had killed Lassiter and they must go into the woods and bury the body. Seth reluctantly went with him. They tied the body “hog fashion,” and dragged it to the spot Carawan had selected. Carawam cut away the turf with a knife, and using sticks and their bare hands they dug a shallow grave. They untied the body, put it in the grave, and replaced the turf. Seth had been the one who turned Carawan in after his return to Hyde. It is also possible that his was the “finger of Providence” that pointed the searchers to Lassiter’s body. The North Carolina Tragedy: Trial of the Rev. Geo. W. Carawan, Baptist Preacher. Printed for the proprietor, New York: 1854. "A Clergyman Convicted Of Murder." Daily Atlas 7 Dec 1853. "Conviction of a Clergyman of Murder--His Suicide." Washington Sentinel 9 Dec 1853. "Murder by a Baptist Preacher." Alexandria Gazette 26 May 1853. "Shocking Affairs." Daily Alabama Journal 8 Dec 1853. I wonder what happened to Seth. In particular, I wonder if he lived long enough to be emancipated.